I was, theres no M60 in this game. 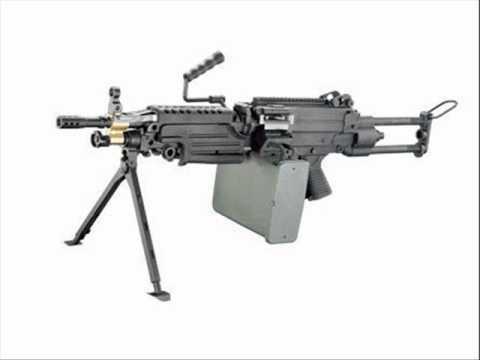 I actually carried around a heavy machine gun as a service weapon, and no, we did not jump around with it, and no, we did not fire it unsupported, neither did the recoil send the weapon sky high. And the game will still be free for players. I wish you were as good in the game as you are in accusing players. My spirit is crumbling of fear, his negative KDr is intimidating me. Could I ever be strong enough to face this creature. Well this might sound dumb but AA3:PG was made way back when Osama Bin Laden was still alive, nobody probably has the ability to even get close up to the game. Lets be honest the game has been working on the development of the game for a real long time now. Best Suggestion I have to offer you is to decide how you can join a Closed Beta instead of asking for the monies Lets ask how can we join these Closed Betas and Requirements for us to work on the developments. Honestly I ask because I realize the roles inside simple Riflemen , Automatic Rifleman, Marksman and Sniper, Nobody Remembered about Squad Leader or Fireteam Leaders like in AA2? Indeed, it was dumb. Why would you compare the life of a terrorist with game development. I'd love to see the M60 in this game. Apparently it's still in limited use in the Army. I wanna be Rambo! Personally I'd love to see WWII weapons and things like that too. Sorry, nope.. still not impressed.. You can't call yourself a pro player by shooting bots and then come with a negative KD/r and a .07 exp/pm, that is not how it works. Specially not when all you do is accuse players like eddie, me or anyone else that kills you. Just be you, don't act like a tiger when you're a cat. I guess you haven't heard of thIngs like aiming and recoil control. There's a lot wrong with this video. When you are writing a post, you can see an attach image/file icon. Use that. See attached picture. But you won't impress anyone with screenshots. Anyone can get a lucky game, where he performs way over his average. If you play enough, you will have a lot of screenshots, where you perform way over your average. The only real way to make people believe you are better than them, is to beat them consistently. Not once. Not twice. But day after day, week after week. Do this on a level playing filed. If you win the majority of your battles against them (again, not 10%) this way, they may start to think you are good. We don't need screenshots to see your KD. It is literally 2 clicks to check your soldier profile with actual stats. Not a hand-picked screenshot. Lovett, what are you trying to achieve with these post? This is a 100% honest question. Are you looking for respect or appreciation? Or are you trying to prove that you are better than most players? You won't earn these things by typing, posting screenshots or videos against middle-hard BOTs in CSGO. As I said before, you actually need to beat other good players to be considered good. If you can't do that, you need to improve and practice to be considered good. no sir this L0rdDamian asking me at this ss at my KD? ?and thats why i lay out that to him. )and no he say at the csgo at this(I guess you haven't heard of thIngs like aiming and recoil control. There's a lot wrong with this video. )so i dont understand him. i mean diff game are not just the other games. I dont think anyone asked for a SS of your FR as clicking your name two times will reveal it. With that said, i think this have moved far enough away from the original topic so i dont see any reason to continue this thread.